TV report says cabinet has been briefed on UN and Egypt-brokered ceasefire between Israel and Hamas. The long-term ceasefire between Israel and Hamas, which is being brokered by Egypt and the UN, would see Qatar pay for Gaza’s fuel, Kan News reported on Monday. According to the report, the cabinet has been briefed on the emerging agreement. The deal will see the cessation of the violent protests along the Gaza border with Israel. 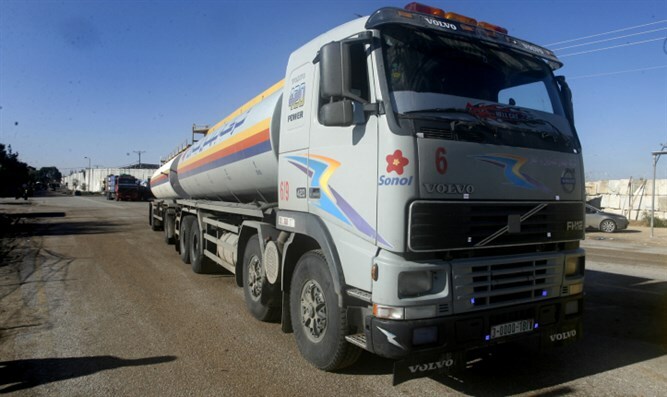 In turn, Israel will allow Qatari-funded fuel to return to Gaza and boost power supply. Israel believes the Palestinian Authority (PA) would respond to such an agreement by further cutting funding to Gaza and stopping the payment to Hamas workers in Gaza. If this indeed occurs, according to Kan, Israel could act by deducting any cuts from tax revenues it transfers annually to the PA. The report further noted that the cabinet ministers are aware of the fact that the deal would boost Qatar’s regional influence while providing Hamas with a significant diplomatic achievement, as it would allow the group to circumvent the PA.
Qatar recently agreed to fuel deliveries to Gaza for a period of six months. The agreement was brokered by the UN and angered the PA, which then announced it will no longer work with UN peace envoy Nickolay Mladenov.